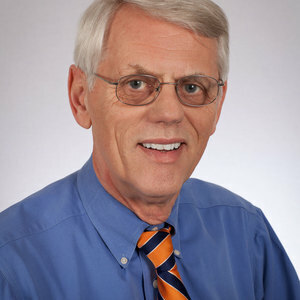 Paul B. Paulus is the Distinguished University Professor in the Department of Psychology at the University of Texas at Arlington. For the past 20 years he has been investigating the factors that influence group creativity. With Bernard Nijstad he edited the first scholarly volume on group creativity, and he has published over 60 papers and chapters on that topic and the related issue of team innovation. He has made numerous invited presentations to groups from the academic, business, engineering, and intelligence communities. In addition to his teaching and research career, he has served as Chair of the Department of Psychology and Dean of the College of Science. He has been a visiting professor at Bar Ilan University, the University of Groningen, the University of Sidney, the University of Pittsburgh, Carnegie Mellon University, and the Uniformed Services University of the Health Sciences. Paulus, P. B., & Nijstad, B. A. (Eds.). (2003). 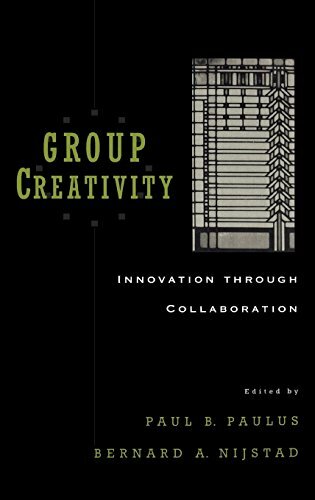 Group creativity: Innovation through collaboration. New York: Oxford University Press. Putman, V. L., & Paulus, P. B. (2009). Brainstorming, brainstorming rules and decision making. Journal of Creative Behavior, 43, 23-39. doi: 10.1002/j.2162-6057.2009.tb01304.x. Paulus, P. B., & Yang, H. C. (2000). Idea generation in groups: A basis for creativity in organizations. Organizational Behavior and Human Decision Processes, 82, 76-87. doi: 10.1006/obhd.2000.2888. Paulus, P. B., Nakui, T., Putman, V. L., & Brown, V. R. (2006). Effects of task instructions and brief breaks on brainstorming. Group Dynamics: Theory, research, and practice, 10, 206-219. Paulus, P. B., Kohn, N. W., Arditti, L. & Korde, R. (2013). Understanding the group size effect in electronic brainstorming. Small Group Research, 44, 332-352. Paulus, P. B., Kohn, N. W., & Arditti, L. E. (2011). Effects of quantity and quality instructions on brainstorming. Journal of Creative Behavior, 45, 38-46. doi: 10.1002/j.2162-6057.2011.tb01083.x. Paulus, P. B., & Brown, V. R. (2007). Toward more creative and innovative group idea generation: A cognitive-social-motivational perspective of brainstorming. Social and Personality Compass, 1, 248-265. Kohn, N. W., Paulus, P. B., Choi, Y. (2011). Building on the ideas of others: An examination of the idea combination process. Journal of Experimental Social Psychology, 47, 554-561. doi: 10.1016/j.jesp.2011.01.004. Dugosh, K. L., Paulus, P. B., Roland, E. J., & Yang, H-C. (2000). Cognitive stimulation in brainstorming. Journal of Personality and Social Psychology, 79, 722-735.doi: 10.1037/0022-3514.79.5.722. Dugosh, K. L., & Paulus, P. B. (2005). Cognitive and social comparison processes in brainstorming. Journal of Experimental Social Psychology, 41, 313-320. doi: 10.1016/j.jesp.2004.05.009. Deuja, A., Kohn, N.W., Paulus, P. B., & Korde, R. (2014). Taking a broad perspective before brainstorming. Group Dynamics; Theory, Research, and Practice, 18(3), 222–236. Brown, V. R., & Paulus, P. B. (2002). Making group brainstorming more effective: Recommendations from an associative memory perspective. Current Directions in Psychological Science, 11, 208-212. doi: 10.1111/1467-8721.00202. Baruah, J. & Paulus, P. B. (2011). Category assignment and relatedness in the group ideation process. Journal of Experimental Social Psychology, 47, 1070-1077. doi: 10.1016/j.jesp.2011.04.007. Paulus, P. B., Dzindolet, M. T. & Kohn, N. W. (2011). Collaborative creativity-Group creativity and team innovation. In M. D. Mumford (Ed. ), Handbook of organizational creativity. (pp. 327-357). New York: Elsevier. Paulus, P. B., & Coskun, H. (2012). Group creativity. In J. M. Levine (Ed. ), Group processes (pp. 215-239).. Amsterdam: Elsevier.